Started by brothers Steve and Dave Keane, Pacific Showcase has been family owned and operated for over 20 years! At it’s start Pacific Showcase did mostly casino based millwork. But has since grown into the commercial millwork space as well. Today you can find our work in casinos and businesses across Las Vegas and beyond all across the country. Even though Pacific Showcase has grown exponentially over the past 20 years, we are proud to say it is still family owned and operated. We are also still committed to providing high quality and durable products. 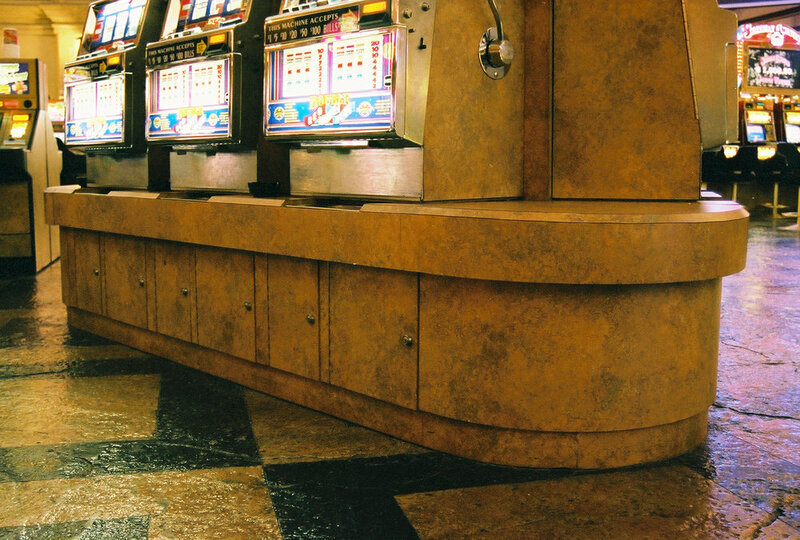 Pacific Showcase is a custom cabinet shop that is focused on serving the commercial and casino industries. Our production includes commercial millwork, laminated cabinets, retail fixtures, gaming fixtures, slot bases, gaming video bars as well as expo and convention booths. Pacific Showcase has the ability to handle any size job. We can assist in all phases of design with cabinets being laid out in 3D using Cabinet Vision Solid/ Alpha Cam/ Solid Works and CAD. Pacific Showcase is proud to be a member of the Architectural Woodwork Institute Program. Not only as a participating member, but a Certified Manufacturer Since 2005. The AWI Quality Certification Program (QCP) is a valuable quality assurance tool for interior architectural woodwork. One of the most highly visible aspects of many construction projects. QCP assesses whether the millwork provided meets the project's specifications and industry standards.